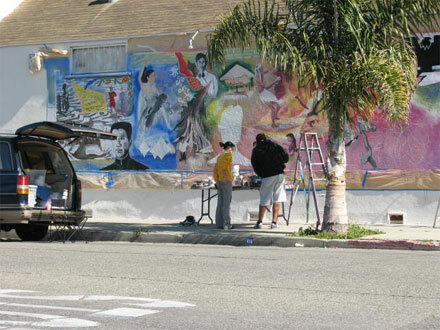 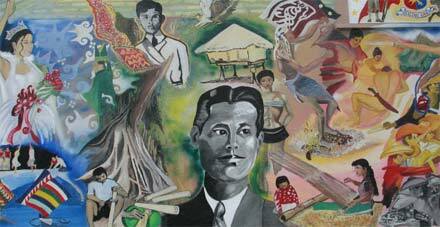 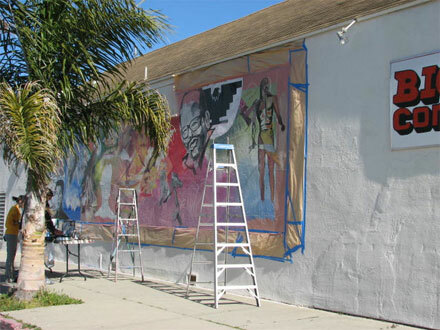 FANHS-California Central Coast Chapter is the fiscal agency to oversee the mural project. 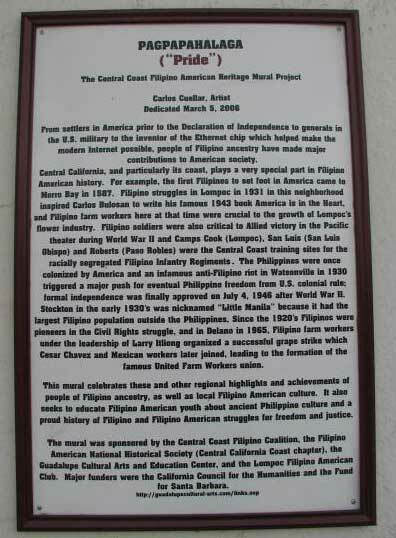 This project was funded by Funds for Santa Barbara and the California Council for the Humanities. 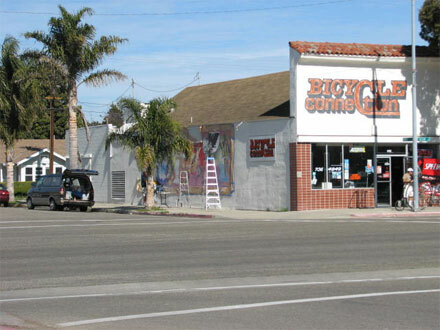 This mural is located at the Bicycle Connection store on the corner of Ocean Ave. and "J" Street on the west wall in Lompoc, CA. 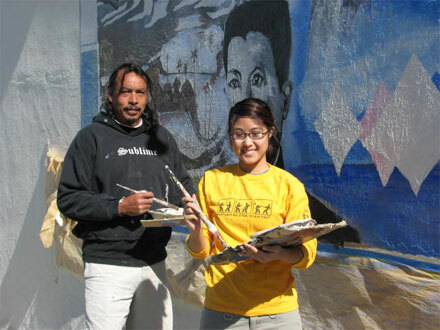 Mural Artist Carlos Cuellar and student helper, Stephanie Repuyan pose. 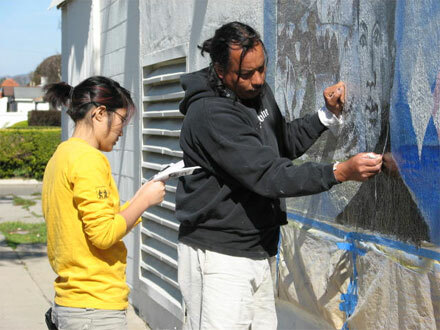 Carlos and Stephanie at work. 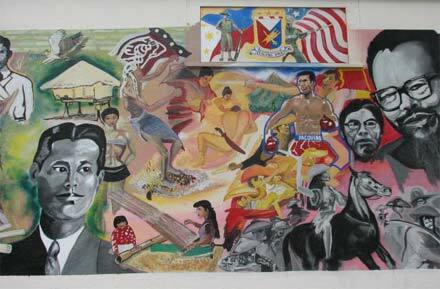 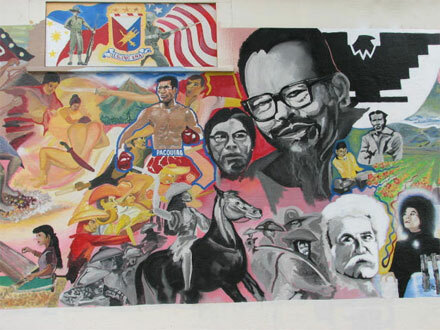 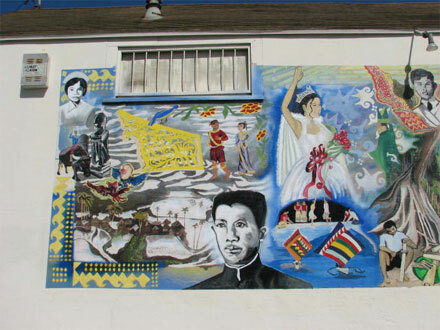 The mural honoring the Central California Coast Filipino American heritage was formally dedicated in Lompoc, CA at noon on Sunday, March 5, 2006 with a reception.